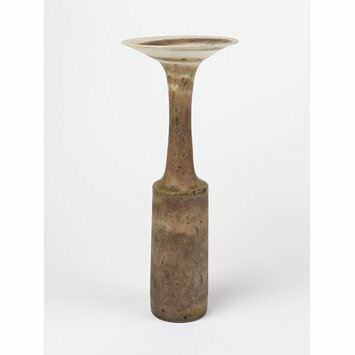 Stoneware bottle by Lucie Rie; Britain; 1967. 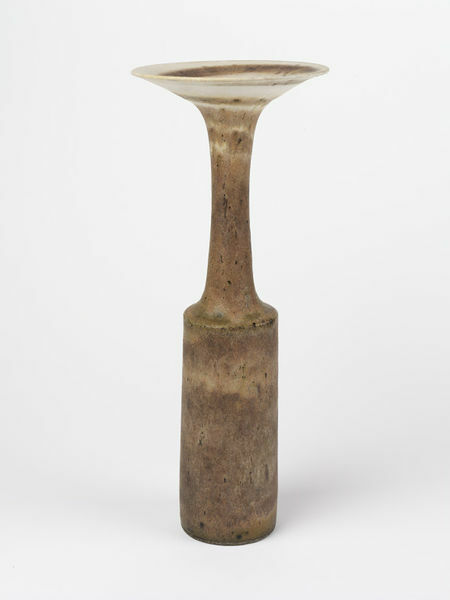 Lucie Rie's work was informed by the full range of ceramic history, from oriental porcelain to prehistoric pots, yet it was utterly individual. She showed how an entirely new language could be generated without jettisoning some of pottery's most basic traditions - practical shapes formed on the wheel.